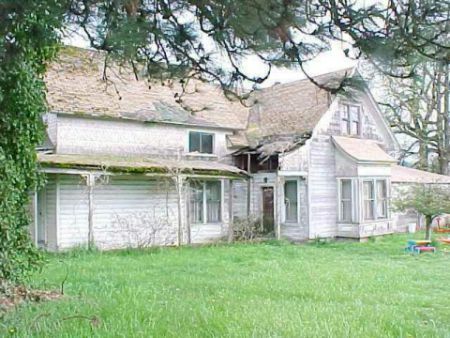 I grew up in the Mulino House, I didn't see anything grotesque but I saw about 4 or 5 ghosts, the first one I saw was when I was about 8, there was a little girl sitting on our wood stove as it was burning, she looked right at me and asked where her mom was, she was see through, and turned to a vapor. I then saw a lady but only her upper half, I was playing on the stairs as she was floating down. That one scared the daylights out of me, then there was a dude standing outside of the kitchen window when I was doing the dishes, he walked through the black berry bushes without moving them. I saved the scariest for last, the last time my aunt stayed in her room, was when she was choked, we could see the hand print and it moving but no one there. Nothing happened for a long time, I'm talking years, until I was about 14 when tried to attack me, I was laying in bed in the hall by the window next to the attack door, when it started to smell really bad, it scared me so I put my head under the covers, I then felt pressure on my legs as if someone was sitting on them, I looked up and no one was there.